Two topics were trending on social media last week. The first was #TheDress craze which dominated the twittersphere and literally tore us apart with the white-and-gold vs. black-and-blue debate (the verdict is, it is black and blue). While I’m personally not too crazy about the bodycon dress that profoundly challenged our collective sense of vision, I was glad that someone – in this case, Salvation Army’s South African branch – used the internet meme to draw attention to the problem of domestic violence with its clever ad. Salvation Army’s #TheDress ad exposes the problem of domestic violence which affects one in every six women. The second was #WorldWildlifeDay marked by the United Nations on 3 March. On this occasion, I was delighted to speak at an event in Geneva about the use of wildlife in the fashion and luxury industry. It is, of course, a topic of great interest for me, which I covered on this blog and which was also the subject of my chapter in the recently published book ‘Sustainable Luxury: Managing Social and Environmental Performance in Iconic Brands’ by Greenleaf Publishing. 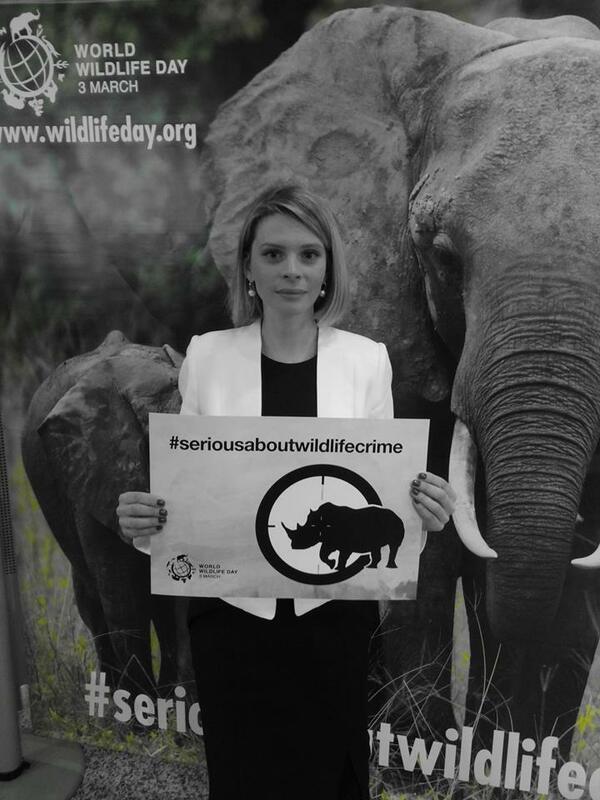 Supporting #WorldWildlifeDay at the event in Geneva. Photo courtesy Juan Carlos Vasquez. 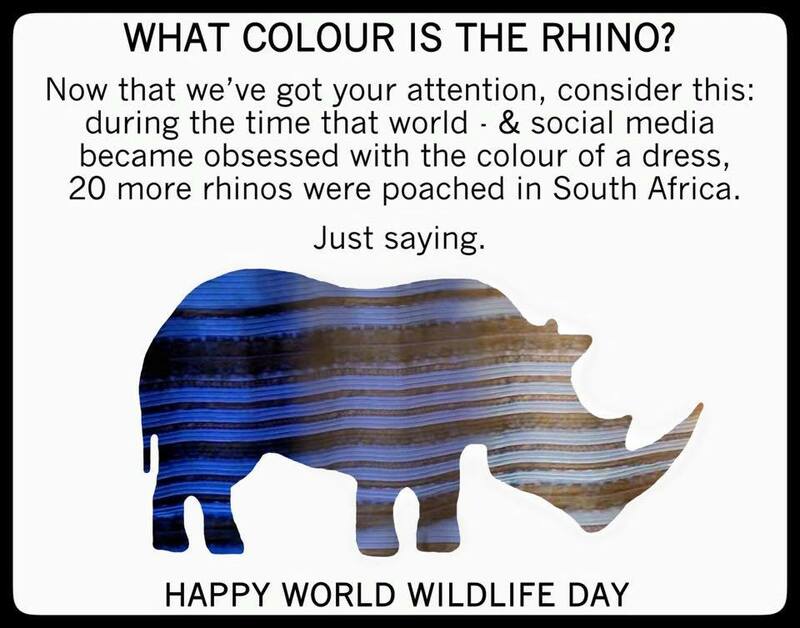 While #WorldWildlifeDay did not generate 10,000 tweets a minute like #TheDress did at the peak of its internet popularity, it nonetheless reached an estimated 200 million people worldwide – an impressive result for the usually not-so-social-media-savvy United Nations. And the supporters had their own take on the #Dressgate! Ultimately, whether it is about rhinos or women’s rights, internet can be a powerful tool for promoting a worthy cause. As well as for keeping us guessing! 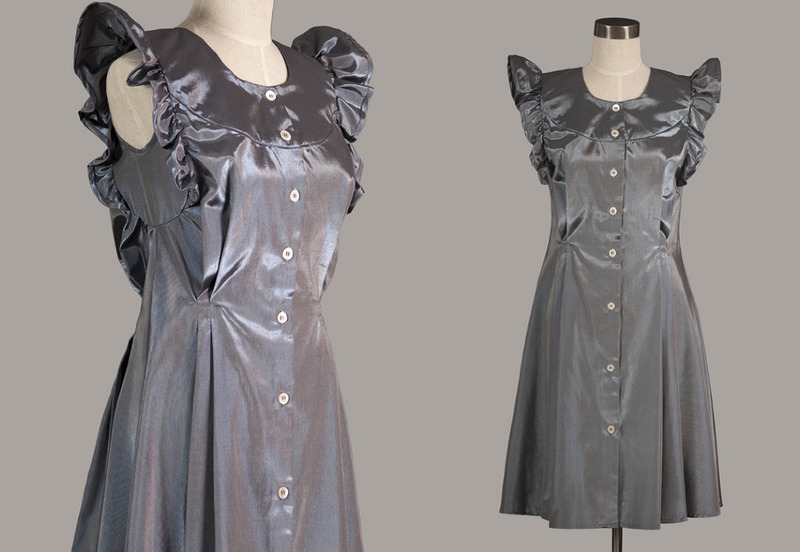 By the way, did you know that the real colour-changing dress was invented in Japan by mimicking the way the blue Morpho butterfly produces its iridescent wing colour without any pigment? Happy World Wildlife Day!